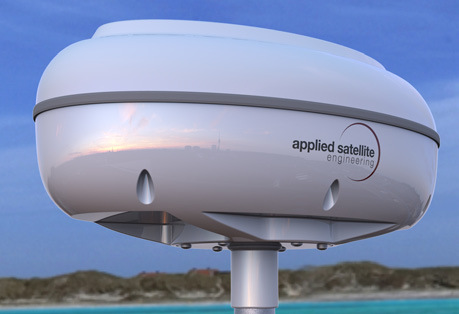 This small radome measuring 11"x6"x5" contains the antenna and all the electronics. There is a single, proprietory cable from the antenna to the below deck connection which consists of an ethernet jack, a phone jack and the DC power supply. The below deck can be 8000 feet from the antenna for the phone line, and 400 feet for power and ethernet. The system operates on the Iridium network at standard Iridium rates providing analog voice, low speed IP data, text messaging including GPS position reporting via text message. The system interfaces to your laptop via the ethernet port, or via the ship's network. 17454 visits to this page since 28 Nov 2012.